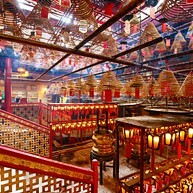 Man Mo Temple is one of the popular places in Hong Kong. The old Hong Kong residents prayed for the God of Literature "Man" and the God of War "Mo" and this tradition has been retained until now. You can go to the altar to collect a box of prophecy stick. Shake the box until one of the sticks falls out – then go to one of the fortune-teller stalls and get to know your future. This museum narrates the history of Hong Kong. 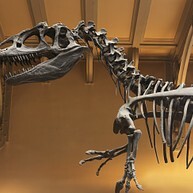 Go through the eight rooms that range from prehistoric times to the hand-over to China in 1997. Here you can see everything from traditional Chinese clothes and an old reconstructed street from 1881 to toys from the 1970s. Victoria Peak is an absolute must for visitors to Hong Kong – ascend 522 metres by tram and look out over the entire city, but do make sure that it is not a foggy day. 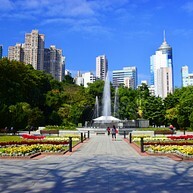 Victoria Peak has always been an area for the propertied classes, and nowadays this also means that Hong Kong’s best promenade is to be found in the leafy, quiet area around the peak station. It is also here you will find one of the most iconic landmarks of Hong Kong, The Peak Tower that features Hong Kong's highest observation tower (the Sky Terrace 428), including the wax museum Madame Tussauds and the Peak Market. Here you will find hundreds of species of birds and exotic plants in a beautiful setting filled with fountains and sculptures. On the West of Garden Road, which runs straight through the gardens, you will find a zoo with an impressive collection of endangered species. This temple was built in the 1860's in honour of "Pak Tai", a peace-keeping god of war. Look into one of the side rooms where old men are seated, building small paper and bamboo models of everything that they want to carry with them into the afterlife. Ocean Park is the largest theme park in Hong Kong and should not be missed. At this park they truly know how to entertain people of all ages and offer a wide range of different amusements. Have a closer look at the adorable animals, take a dizzy ride on the roller coaster or visit the magnificent aquarium and watch an animal show or see a variety of animal exhibits. Don't miss the cable car, this will be an extraordinary experience! Since 1888, this oval, double-decker ferry has transported the residents of Hong Kong between Kowloon and Hong Kong Island. Star Ferries does not only provide an insight into the day-to-day life of Hong Kong but also offers the cheapest and best views of the Victoria Harbour. 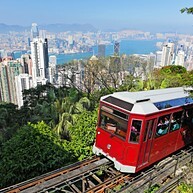 There are four different trips, but the most popular is between Central and Tsim Sha Tsui. For great views over Hong Kong you should visit this 490 metre tall building, also called ICC. This is the tallest building with the highest indoor observation deck in town with four restaurants on the 101st floor. You will find the observation deck on the 100th floor, Sky 100, which offers magical panoramic views over the city. At 20:00 every night, you can admire a dazzling multimedia show outdoors with laser lights in a multitude of colours; the show involves more than 40 buildings by the harbour. 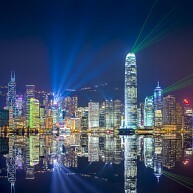 This is a beautiful and unforgettable experience that should not be missed when vising Hong Kong. 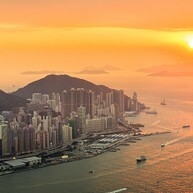 The best views are along the Tsim Sha Tsui waterfront between the Avenue of Stars and the Hong Kong Cultural Centre and the promenade at Golden Bauhinia Square in Wan Chai. Stroll around at this beautiful and well maintained garden which is surrounded by skyscrapers. This is a very quiet and peaceful place where you can unwind and admire traditional Chinese architecture. The flowers, ponds and waterfalls will also catch your attention. 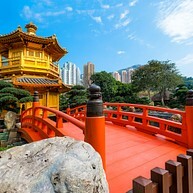 You will find the Big Buddha on Lantau Island which is the largest island in Hong Kong. Big Buddha is the world's largest seated outdoor bronze Buddha statue, which is more than 34 metres high. After the visit, head to the monastery nearby where you can eat a vegetarian lunch with the monks. Hong Kong Science Museum opened its doors in 1991 and is truly a place where you can learn science in a fun way. The museum houses over 500 exhibits including the Energy Machine - the largest device of its kind in the world - and the DC-3 airplane (the first local airliner). 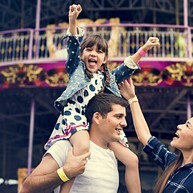 There are also many games and activities suitable for visitors of all ages. Explore the streets of Soho. Here you will find plenty of restaurants, bars, art galleries and small, unique shops. This is a great place to walk around and there is so much to see. 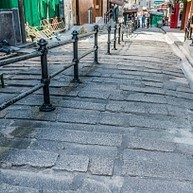 However, it is not recommended if you have a stroller since there are many stairs in the area. One of the most popular dating destinations for locals, this 60-metre-high Observation Wheel is located in business district Central, facing the Victoria Harbour, resulting in a spectacular day and night view of Hong Kong. Private cabins are also available. 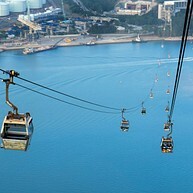 Ngong Ping 360 is the longest bi-cable ropeway in Asia and one of the top 10 cable car rides in the world that allow you to explore scenic Lantau Island and Tung Chung. Along the 25-minute ride, you will see Hong Kong Airport, the Tian Tan Buddha, seas and grassland from a new angle. Try the Crystal Cabin with a glass bottom to obtain a spectacular view. 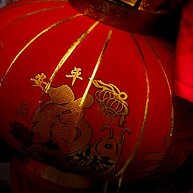 Don't miss out on the Ngong Ping Village to look for some Hong Kong souvenirs.